A pavé engagement ring is encrusted with very small diamonds all along the band to give the appearance of a solid diamond surface. Because pave-set diamonds use only tiny beads or prongs to hold them in place, very little of the metal band shows through and the diamonds appear to be free-standing. 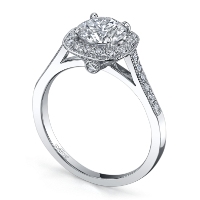 Halo engagement ring settings feature a center gemstone surrounded by smaller, micro pave diamonds. 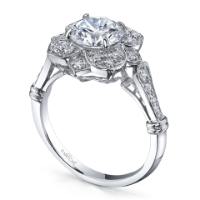 The smaller diamonds give the appearance of size and volume to the center stone, adding to the ring’s overall sparkle. Channel set engagement rings feature side diamonds that are embedded into the channel groove of the ring. 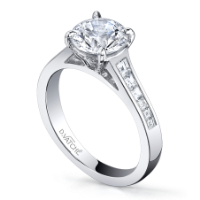 A thin strip of metal secures the diamonds in place—no prongs are used. The diamonds are flush with the band and as a result, channel set rings are sturdier than other designs and less likely to snag on clothing. 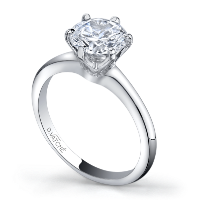 Three stone engagement rings consist of a center diamond flanked by two side diamonds, which accentuate the size and brilliance of the center diamond.The center stone is usually set higher to complement the side stones and add depth to the ring. 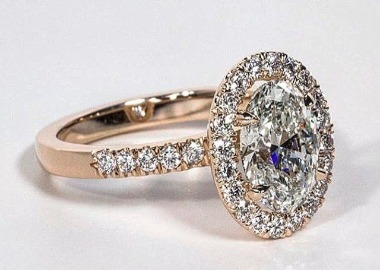 Vintage and antique-style engagement rings offer the beauty and intricate craftsmanship of vintage rings with the sturdy and lasting design techniques of modern engagement rings. 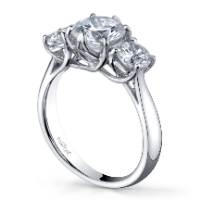 We all have a vision of a perfect ring: Designs by Vatche can make it happen for you. Vatche, the Owner/ Master jeweler & designer works with Matrix & Rhino to design his award winning rings. All works are done in-house from hand wax or CAD to the finished product. 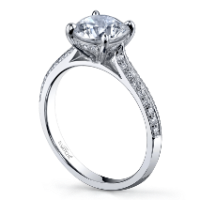 With his precision engineering skills, he can work with you to make your dream ring come true. 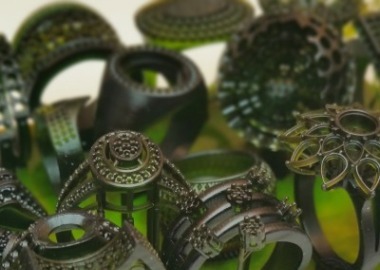 Upload a picture of a ring you'd like us to design & we will contact you for pricing and details. Please contact us with any questions in regards to custom orders, pricing, and status of your orders.